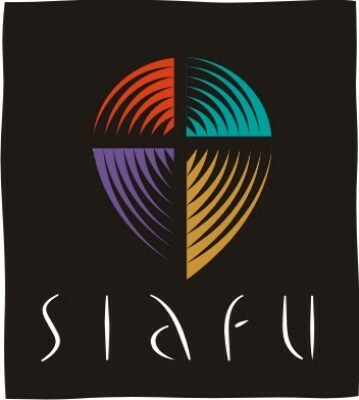 Each SIAFU chapter functions under its own authority and autonomy. Neither TUMI nor World Impact (TUMI's parent organization) are responsible for and will accept no liability connected to the actions of any specific SIAFU chapters or members. This means that TUMI and World Impact are not responsible for the finances or debt of any chapters or members. Also, we are not responsible for direct, indirect, incidental or consequential damages resulting from any SIAFU chapter's efforts or involvement. We count our chapters as limited partners, and thus nothing in our agreement will create any joint venture, agency, franchise, sales representative, or employment relationship between us the parties, without our express permission. No SIAFU chapter will have any authority to make or accept any offers or representations on our behalf. In becoming a SIAFU Chapter, you will pledge, therefore, not to make any statement, whether on your site or otherwise, that in any way represents itself as an official World Impact/TUMI statement. Finally, no warranty is established, expressed, or implied in your forming a SIAFU Chapter. Each SIAFU Chapter is a specific, particular, and independent entity, and therefore responsible for its own activities. We are not and will not be held responsible for any debts, actions, damages, or failures, either tangible or intangible, resulting from your involvement with SIAFU. While these commitments are clear for us, we emphasize these guidelines both for our mutual protection and freedom to experiment as partners. Each SIAFU Chapter is empowered and free to pursue its own goals in sync with the guidelines of the SIAFU Network. TUMI and World Impact want you to succeed in every way in your efforts, and to feel the freedom to pursue those dreams and goals God lays on your heart for your church and community. We will do all we can to aid you, creating resources and hosting events to that end.